This is a follow up on previous post. 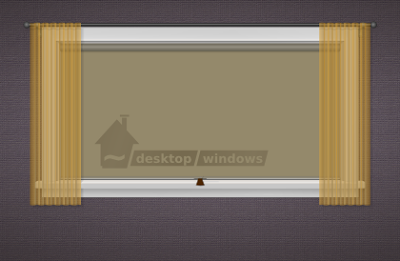 SVGs done (the windows, curtains and drop screen), no code from me. 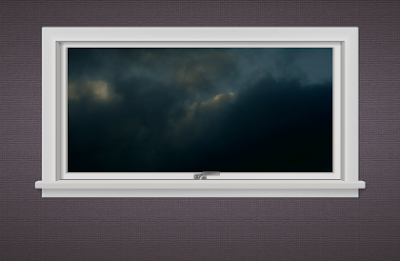 The pretend to be wallpaper is taken from OS/2 and only modified by me and is therefore not Free. 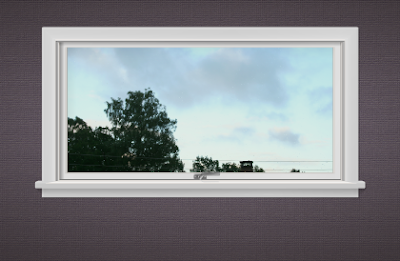 Content in the window (the view is from photos I took today from our windows) is not in the SVGs. 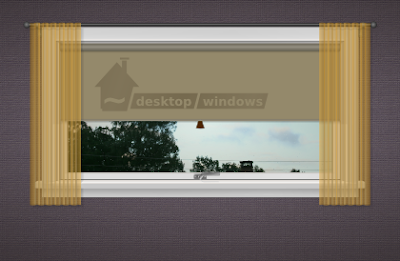 I call them: My "~/desktop/windows"
Light conditions should depend on where it is brightest inside or outside. In these examples I have some of each, above is it bright outside and lots of highlights and shadow from the handle. 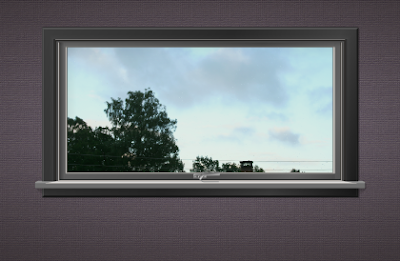 Dark outside: no highlight in the windows-frames (above). More light from outside than on the inside (above). Kalzium: Information about an chemical experiment written on the interior drop screen and a You-Tube/movie showing someone doing the experiment outside the window when the drop screen is rolled up. Web cam: show your own or a distant web cam in a window to keep an eye on: your kids play in the garden, home surveillant camera or web cast. 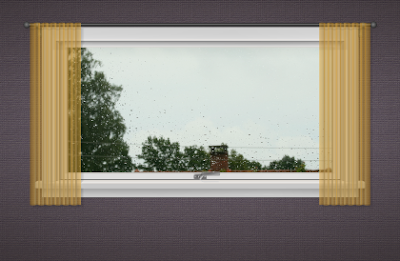 Weather widget: Look out the window to see the weather information. Photo frame widget: show local or online pictures. "insert your Idea here" or anything else. 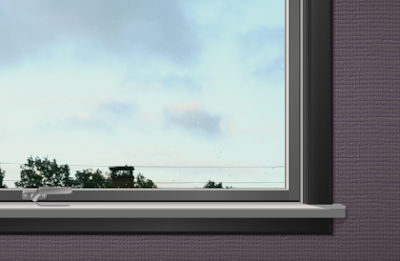 the weather plasmoid sounds cool, maybe you could feed it a couple of pictures of the view outside your window on a sunny/rainy/snowy day and depending on the weather information the correct picture is displayed. I'd love to be able to have a menu that let you pick from a selection of (KDE?) webcams from around the word, or put in your own url for a webcam of your choice. Heh, heh. This could become "Twitter 2.0"... watch asiego hack on plasma from the comfort of your own desktop! Peer at nixternal compiling the KDE 4.1 Beta 2 packages for Kubuntu easily! Keep an eye on Celeste as she chases after usability test case degenerates! Awesome, looks really neat. I think they'd be great with webcams, but the use I would like would be for showing a random image from my digital camera snaps. Random being important btw! The gallery plasmoid atm is quite frustrating in that it traverses the folder structure in order so I only ever get to see the early images. Yeah! By night you could see part of the sky with Kstars KIO (should be developped!). Choose your place, your line of sight and go! Amazing. Really nice work. It'd be cool to see real plasmoids come out of this. Those are good ideas, and I got few more, add plasma TV tyle and the theather style where red curtains have tied side of view. Or other plasmoid what will show photos from IMDB(.com) etc..
Whoo! 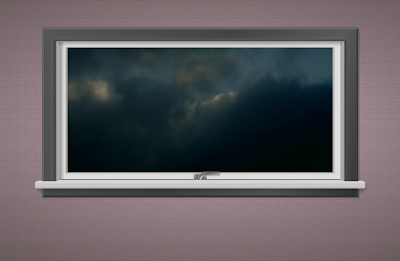 "Windows" (tm) running in KDE. Neat. Mind if you create a photo box like plasmoid mockup? I'm creating such plasmoid, and hope somebody can make such a GUI mockup.